Three handy tools to aid the pursuit of clean water, clean air—and a clean toothbrush—on the go. 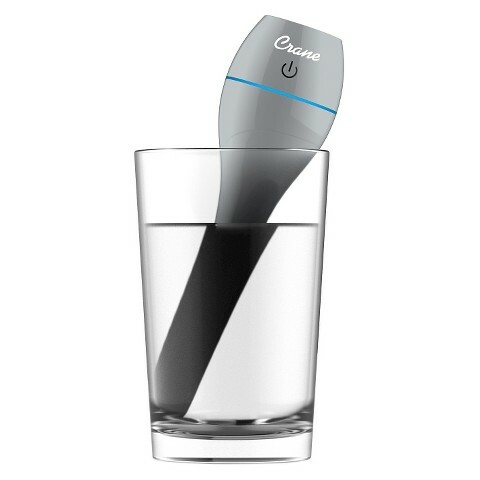 This hand-held, battery-operated UV purifier obliterates 99.9 percent of the yucky bacteria and other microorganisms found in tap water—in less than a minute. It’ll also save you money on the bottled stuff. Crane’s travel-sized humidifier quietly helps regulate air moisture to reduce the growth of microorganisms by 99.96 percent. Bonus points for an inclusive travel bag and USB/outlet power adaptor. 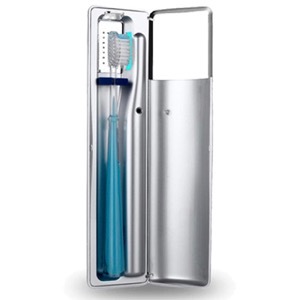 This sleek, battery-operated toothbrush sterilizer not only works as a holder, but it’s also outfitted with a germicidal UV bulb to eliminate 99.9 percent of germs and bacteria in under 6 minutes.